8 Device Remote with Active Key Illumination that displays only the keys and functions for the device you have selected. Advanced Power Management - Built-in Tilt Switch allows the Kameleon 8 to spring into action the moment you pick it up.The unit then automiatically shuts off when not in use. Advanced Functionality-The Kameleon 8 offers the latest features in home entertainment, including Picture-in-Picture (PIP) and Digital or Personal Video Recording (PVR/DVR) functions like freeze Live TV, and Instant Replay. Effortless Setup-Step by step instructions with animated feedback to easily guide your through the setup process. Say good-bye to your old remotes in mere seconds. This is actually a pretty decent remote for the price, considering it combines the benefits of an lcd display with the response of push button remotes. Really, the reason you get this remote is the look of it, pure and simple. The cool design is very chic and gets quite a few comments when people sit down and see this bright blue remote light up. The user comments about it being super sensitive I think are way overblown, either that or they are talking about the Radioshack version, which is known to be supersensitive. I had the thing on my desk with my computer and was playing Unreal Tournament 2004 and the thing never woke up, even with my key pounding. 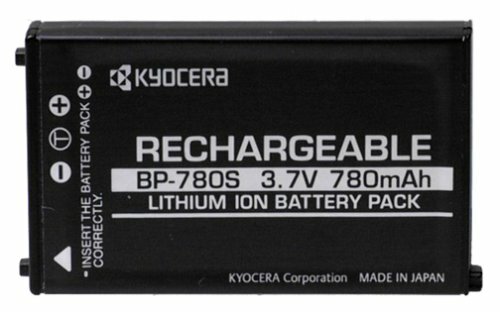 Battery life is probably about 5 weeks with good rechargable batteries, but a lot of this depends on use and how long it stays lit, like if you constantly hold it in your had and are moving it, the life may be less. My only gripe is the serious lack of learning memory in this remote. The thing has memory for between 16-25 learned commands, which is really low for a learning remote of this price. 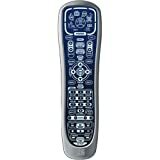 Most learning remotes in this price range have at least a hundred command learning, which is the ability to totally learn about 2-3 remotes if the universal doesn't have your device listed. Other than that, it is a pretty good remote. Well worth the cost. I have used this remote for 3 months now and love it. It controls my Sony Tivo/DSS box, TV, Stereo, DVD and VCR and the macro and theater setting are great and easy to program. I dont know what the deal is with the batteries for some people My friend has changed his once and I have never changed mine. The remote turns on when it feels vibration so maybe the people with battry troubles are putting the remote somewhere where it stays on a lot, I dont know. If I had to choose my only problem with it, it would be that sometimes I have to keep moving it while fast forwarding Tivo so it wont shut off and I miss my stopping point. Unfortunately, I have to give this remote only one star. Not because of functionality, but because of serious quality issues. When I received the FIRST one, upon inserting the batteries, only five of the buttons lit up. The five that you could see lit up nice and bright, but not all the buttons lit up as the manual said they should. So I contacted CS and arranged for a replacement. The replacement arrived, I inserted the batteries (new), turned it over and sure enough, all the buttons were lit up, but so dimly you could barely see them. I was able to increase the brightness on the remote, but even at it's brightest, I found it to be only as bright as I would find acceptable for its lowest (dimmest) setting. While the first one I received only displayed partial buttons, it was nice and bright, so I had something to compare the second one to. So here we go agian, ANOTHER return. With quality this lacking, I am not sure if I will try another one. I was excited to buy this remote after reading some good reviews in a magazine. However, the batteries lasted less than a week; slight vibrations turned it on. Also, the screen was difficult to see during the daytime, even at the brightest setting. After less than a week, I'm packing it up to return. I own the RadioShack branded incarnation of this remote, after having previously bought and returned the older 6-in-one Kameleon. I have also read through tons of manuals for different AfO/RadioShack and other models, before finding that this is really the only one that will suffice for me. That said, while some things were improved in this 8-in-1 Kameleon (over the 6-in-1 and other All-for-One models), some things also got worse. * You can send "raw"/advanced IR codes (000 - 255) to your devices, and thus be able to control features not enabled by default. In some cases, you may be able to control the device in ways the original remote could not! 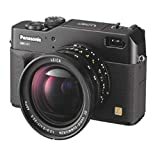 For instance, you can send a discrete ON (code 022) or OFF (code 026) signal to nearly all Panasonic devices; or switch the input channel directly to e.g. Video 3, or "AUX", rather than repeated "TV/Video" keypresses. This is very useful for macro programming. You can even assign such advanced codes to particular keys, if you don't use them for anything else. For a list of various advanced codes, check out "http://www.hifi-remote.com/". * The ability to download new codes over the telephone is really, really cool. As shipped, this remote did not support my HTiB (a Panasonic HT-SC810V), but after a call to RadioShack customer support I now have this supported as well. * The Power macro only works while the remote is in "System" mode. Otherwise, it controls power only to the selected device, e.g. your TV or your DVD player. So to turn on/off your entire system, you need to press "System", then "Power" -- if you forget to do so, you will find that the various devices are "out of sync", and you need to toggle power for individual devices. 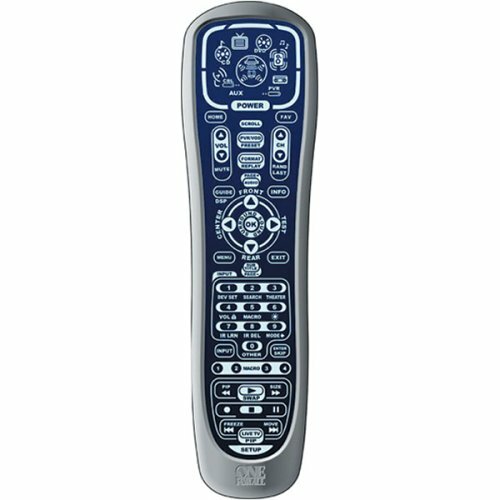 (This is unlike the 6-in-1 Kameleon, where the "Power" macro worked regardless of what mode the remote was in. In fact, the 6-in-1 would allow you to program a macro on nearly any key, not just M1-M4 + powerd). * I simply don't like the soft keys. I wish AfO had any models with similar functionality in a regular push-button remote. Models like the 8811 come close, but no cigar without the ability to program a macro on the power key. * I had a very difficult time trying to "learn" functions from my original remote. It simply would not accept the code very easily. That's OK, I'd rather add the function by way of assigning the appropriate advanced code to the keys, as this eats less memory, and is more versatile. (For instance, "learned" funtions cannot be copied to other keys via the Keymover feature). * The tilt switch does not work all that great. Sometimes it is too sensitive, turning on the remote after a nearby person breathes - othertimes you have to shake it to turn it on. You can also turn it on by pressing on the pad -- that means another keypress. I had been searching for this camera for a month. I was frustrated because the best price online vendors were always out of stock. Then I saw Amazons price and ordered it on a Sunday afternoon. I paid for regular ground shipping thinking I could wait a few more days. The camera was delivered Wednesday afternoon by FedEx. The affiliated vendor, KB camera sent the camera expedited shipping even though I only paid for regular shipping. What a great surprise. 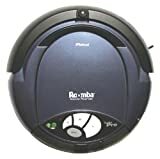 An intelligent vacuum that uses robotic technology to deliver barefoot-clean floors in-between more thorough cleanings, iRobots Roomba Pro follows in the footsteps of the original model (the first automatic vacuum available in the U.S.). But it also adds some great new features, including Spot Clean. Selecting this option sets the Roomba Pro spiraling around a small area up to three feet wide, great for cleaning up dry spills or extra dirt. Thirteen inches in diameter and lighter than your average bowling ball, this innovative vacuum will roam a room devouring dust, dirt, pet hair, and tidbits left behind from everyday living. Setting up the Roomba Pro for its first sashay through the living room is fairly easy. 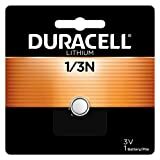 First, the battery needs charging for at least 12 hours before its maiden voyage; simply plug the AC adapter into any outlet and it will shut off automatically when fully charged. After that, the indicator lights different colors will show the batterys charge status. The Roomba Pro can clean two to three medium sized rooms on one charge, approximately 60 to 90 minutes, depending on floor surface. Although it may look more like a Frisbee than a vacuum, the Roomba Pro cleans carpet, wood, linoleum, and tile, transitioning smoothly between those surfaces. It even senses and avoids stairs, and glides easily under beds. Next, remove any clothing, papers, cords, and fragile items from the floor. You may choose to set up one or both of the fist-sized Virtual Wall units, which emit a beam to redirect the Roomba Pro, keeping it out of unwanted areas. Set the Roomba Pro in the center of the room, and press the green power button to turn it on. Then select the corresponding button for a small (10 by 12 feet), medium (14 by 16 feet), or large (15 by 20 feet) room. The Roomba Pro plays a few musical notes of greeting, then begins moving. When the Roomba Pro starts cleaning, it travels around the floor in a spiral pattern. When its non-marring bumper touches a wall, the Roomba Pro follows the wall for a short time, then crosses the room in straight lines. It repeats this pattern until its cleaning time has elapsed, providing maximum cleaning coverage. We bought my daughter and son-in-law an original Roomba for their wedding this summer. She's a little on the practical side, he's a little like me, likes gadgets. We thought this would be a perfect gift. They loved it! So much, that they were looking forward to bringing it back to our house to show us how great it was. If it passed their expectations, we had to have one ourselves. Low and behold...we found new models, the Pro & Pro Elite. After carefully searching the internet I found there are many different packages available. We ended up purchasing a Pro model package that included 2 extra filters, two virtual walls, and the remote that actually activates the same features the Pro Elite model provides. It can follow the outer wall perimeter of a room, work it's way around furniture and back to the wall. It has deliberation in it's pattern madness. It WILL cover the entire room. Unfortunately, the battery charge does not accomodate a very large room. We purchased a rapid charger (2.5 hrs.) and an extra battery to keep Roomba ready to go. With minor room prepping to eliminate wires, "wedge" shaped areas under furniture, frayed area rugs, you can turn it loose and let it work while you're gone. It simply stops when the charge runs out. But you need to make sure the room is prepped as Roomba will cry for help if in a situation he can't get out of. I won't go into details but Roomba does have some personality. The heavy elevated furniture (bed, couch, curio) that can't get moved weekly, can now be cleaned under weekly. The only features that kept me from giving this 5 stars is: The catch bin is very small. The battery run time is around an hour, at best. The recharge time is around 12 hours. I had to buy more accessories to make Roomba fit my needs. 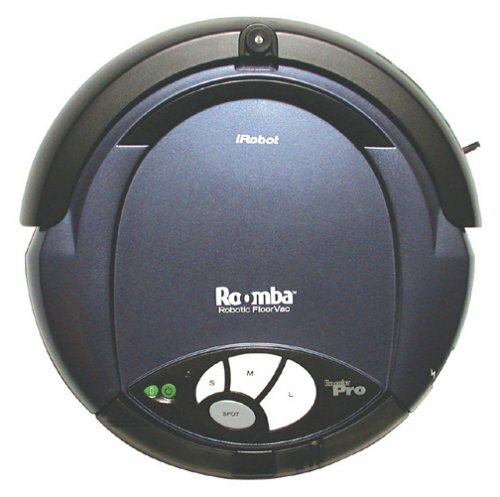 If you're looking for a hepa vacumn that will keep your home dust free, forget about the Roomba. If it requires too much work to pick up the clutter in your home to run Roomba, you need a bigger vac anyway. It's not a one shot house cleaning miracle. If you want some low maintenance help in your busy life to keep your floors cleaner between regular vacumnings, Roomba will do that...in an entertaining fashion. Should have bought one sooner! Should have bought two! Two words: It works. I think what I like best is how it keeps the wood floors "barefoot clean". It also does carpets well and since it has a beater bar also leaves that "vacuumed" look in the form of tracks on the carpet, although they are random patterns reminiscent of a Pollack painting. At first it won't save you any time, because you'll spend a lot of time just watching it work because it's fun. After a while though you'll get a big kick out of turning it on and leaving the house and then finding the job done when you get back. 1. 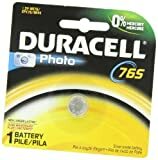 Buy an extra battery and definitely the quick charger. This way you can have one charging while the other is in the robot, vacuuming away. 2. Learn to prepare the rooms. You'll have to watch the robot the first time it does each room or area, just to get a feel for where to put the virtual walls and how to move the furniture around. 3. At a minimum, buy the pro model with the "spot" mode. You'll use it a lot. 4. You'll need to deep vacuum your carpets at least once every two weeks. That's it. It is worth every penny. I will probably buy another one for the upstairs. a MUST for those who hate vacuuming! Roomba is simply incredible! My floors now get vacuumed 2-3 times a week rather than 2-3 times a month as when I had to it myself. It cleans so well and so thoroughly, you have to see the dust bin FULL of yucky crud to believe it. (Where does all that dirt come from in just two days?) The best part is that Roomba vacuums under the furniture! The only pieces in my apartment that it can't get under are the nightstands, due to their insufficient width. BUT, I did have significant problems getting a unit that didn't have anything wrong with it. I bought the first one -- a Pro Elite -- at the Sharper Image in Dallas, TX. It turned out to be a "return" and was DOA when I got it home. That sucked! Roomba #2 lasted about 3 months and then stopped picking up -- it turned out that the main brush wouldn't spin anymore because its attachment doodads on the ends had been stripped. I don't know if it's because I didn't put the brush back in properly after a cleaning or not. . . Roomba #3 seemed fine except it seemed to crap out after a relatively short period of time. . . after clocking it twice at only 35 minutes, I returned it for Roomba #4, which seems to be fine after two months use. I did pay I think $50 for a 3-year replacement warranty -- which I won't be surprised if I have to use -- but it's worth it! 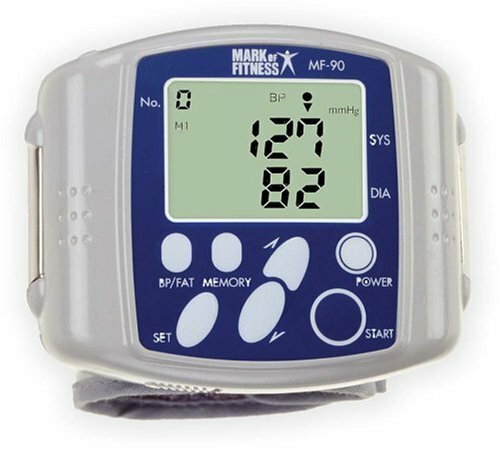 Stores up to 10 body fat and blood pressure readings, for up to 4 people! A reliable companion for those who order their business presentations "to go," the Optoma EzPro 737 is designed for convenient portability, weighing in at just 3.5 pounds and wrapped in its own soft carrying bag. With a wireless remote that includes a built-in mouse and laser pointer and full connectivity to a wide variety of computer systems, video players, and high-definition sources, this projector provides a full range of options that make it an exceptional fit for busy professionals. 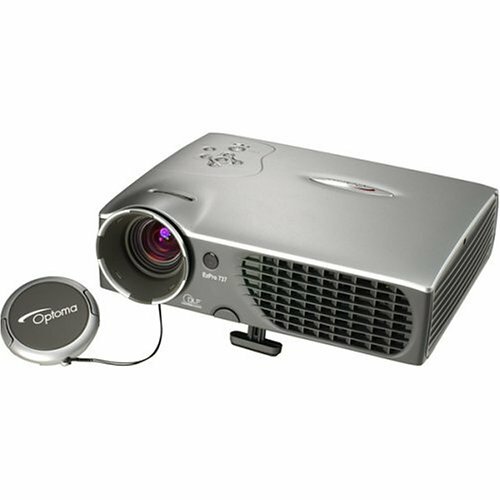 The projector's outstanding 1,800:1 contrast ratio, made possible by DDR DMD technology from Texas Instruments, and its 1,500 ANSI lumens provide exquisite clarity even in larger or brightly lit conference rooms. With possible screen sizes varying from less than two feet to nearly 25, you'll be able to adapt your presentation easily to match your venue. The 737's lamp offers an average of 2,000 hours of light. Setup is easy, and the unit comes with all the accessories you'll need to get started--cables, connectors, remote, and batteries. Optoma includes a generous three-year warranty covering parts and service, with separate 90-day coverage for the lamp. The Pioneer DV-563A is a high-performance movie and music machine. In addition to DVD movies, the slim DV-563A plays multichannel, high-resolution DVD-Audio and SACD discs, plus all of your recordings on DVD-R/RW, CD-R/RW, and MP3. 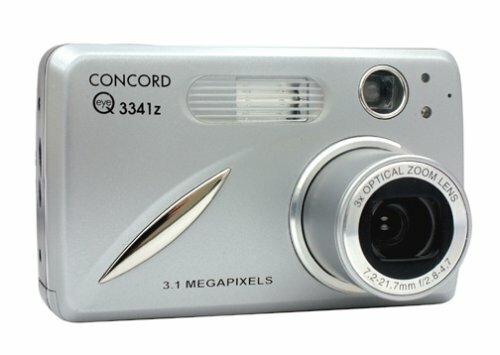 It has a PhotoViewer feature for viewing JPEG still photos. For great video playback, the DV-563A features a 10-bit/54MHz Video D-A converter and Pioneer's PureCinema 2:3 Progressive Scan, and includes a component-video output. This player also supports the Super VCD standard, which offers superior picture quality to the Video CD standard and allows two stereo soundtracks to be recorded as well as support for widescreen. Experience the super high-quality audio performance of DVD-Audio and Super Audio CD (SACD). The onboard 24-bit/192kHz DAC means that this player is fully compatible with high-sampling-rate discs, capable of delivering exceptional sound quality in terms of dynamic range, low-level resolution, and high-frequency detail. The DV-563A features multichannel analog outputs for connection to an AV amplifier to give you stunning surround sound from Dolby Digital, DTS, and multichannel DVD-Audio discs. SRS TruSurround creates a realistic surround-sound effect from any Dolby Digital or Pro Logic encoded source using just two speakers. 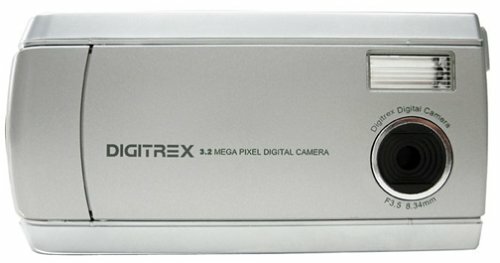 While a DVD or Video CD/Super VCD is playing, you can zoom in on any part of the picture at up to 4x magnification. Compatibility with CD-R, CD-RW, and CD-ROM discs that contain MP3 audio tracks. Auto power-off function automatically switches player into standby if not used for over 30 minutes. Built-in bass management for adjusting speaker size, delay time, and channel balance when using 5.1-channel output. SACD: Super Audio CD (SACD) is a high-resolution digital audio format that promises vast sonic improvements over the current audio CD format. Super Audio CD discs can be played back on dedicated Super Audio CD players or combination SACD/DVD-Video players. Certain SACD discs feature a conventional audio CD layer (hybrid SACDs) which can be played back by any CD player or computer with a CD-ROM drive. This is a great multi format player. So far I've been playing a lot of DVD-R's with excellent results. I was having a lot of problems with my previous JVC player. Fantastic Video, excellent audio, heavy feature set, and looks great...but that's not why I bought it. In the past, if you wanted max format compatibility, you had to sacrifice video quality. Sure, you can stick a slice of pizza in a Sony DVP-NS725P and it will play a Little Caesars commercial, but the video quality is horrendous. I searched high and low looking for a player that can read a wide range of formats, including DVD +R, without having to sacrifice quality...and just when I was about to give up, someone turned on a Grail shaped beacon. Enter the Pioneer DV-563A. I dropped in every +R that I have and it played them flawlessly. No skipping, no laser chirping. It even played disks on lower quality media that were burned right to the edge. Absolutely awesome. 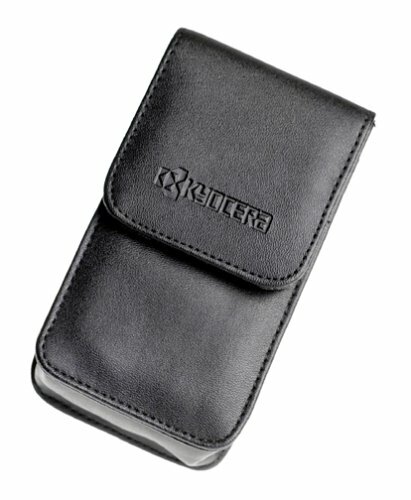 By the way, the specs do not advertise +R and I am using a recorder that supports bit setting so your mileage may vary. I wonder why there isn't more interest in this player that has the unique ability to play both of the new formats. I bought mine for my mid level surround system and couldn't be more pleased. the aural experience of SACD and DVD-A very nice for this price. You've got to be kidding me! No AC adapter! 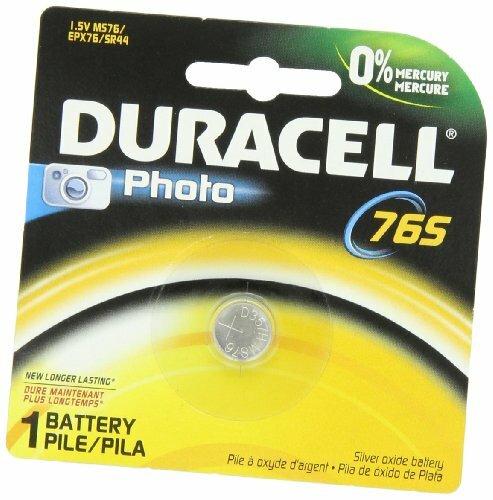 Why on God's green earth in this digital age any company would ship an item like this without an AC adapter when they come standard with $10 items is beyond me, but sure enough, it doesn't include one. To top it off, it doesn't even tell you what kind to buy - it tells you to get some obscure coding that the guy at Radio Shack had never even heard of. Outside of that, which really warrants a rating of 1 star, it is really really cool! My fiance loved it! Definitely a lot of value for the price. Looks like she'll have endless hours of fun with this thing, and it teaches you! Amazing! Lighted keys? Will the madness never end? This does exactly what it says it will do, has great sound, easy to set up and get started, lots of tones and other options. Overall great product but let me add a few things I wished were different. Casio includes a service where you can download more songs but they have like 50 songs there and it seems like a web site that they may have forgotten about since many of the "coming soon" dates are from 2000 and 2001. Also, you cant download the songs directly to your keyboard they remain on your PC. If these features are not important to you then this is a great buy. In my mid-30's I decided it was time to finally learn to play an instrument - and the Casio LK55 fit the bill (my husband requested I pick an instrument that could be used with headphones!). The keyboard has realistic sounding instruments, and a pleasant piano sound. 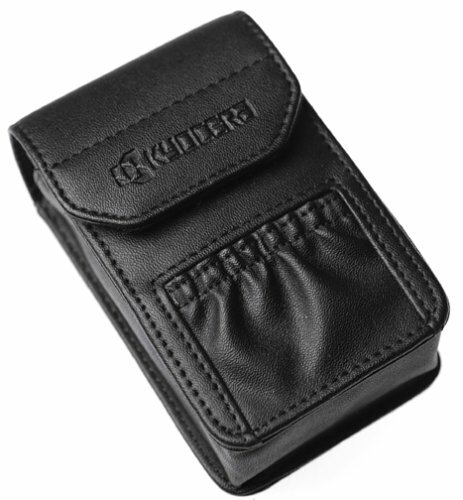 Keys are full sized, and the lcd display is very useful once you figure out what the general functions are. It has a good range of built in songs that you can play along with - I found as a beginner that most were too complicated but I'm working on it. I've actually found that I don't use the key lighting as much as expected. Don't expect this keyboard to 'teach' you how to play. You really need to purchase some good instructional materials and learn the old fashioned way (lots of practice!) but it is fun and gratifying to play along with the built in songs in-between regular practice. My only complaint is that if you want to learn a built in song using the key lighting - you can't learn both hands at the same time. You learn the right and left hands seperately - which I can understand as the lighting might be confusing otherwise, but it would be nice to have the option. I'm extremely pleased with the keyboard, but it will take a while before I'm competent. I highly recommend the book "Adult All-In-One Course: Lesson-Theory-Technic" by Willard A. Palmer. It's been extremely useful for learning the basics (such as How To Read Music!). 1.) The casio MIDI cables must be connected in opposite order, meaning the output-end of the cable goes into the input receiver of your keyboard. The input-end of the cable goes into the output receiver of your keyboard. Its counterintuitive, but this is the only way it will work. 2.) You must configure your sound-card by going into \'Control Panel'\'Sounds and Audio Devices'. Choose the 'Audio Devices' tab. You will find one of the boxes reads 'MIDI music playback'. Make the default device 'MPU-401' by choosing it from the drop-down menu. Hit 'Apply' then 'OK'. 3.) The MIDI software refered to as not supported in the user manual and by the 800 number is simply MS Media Player or Real 1 Player. Simply open an MIDI file with your keyboard onwith the keyboard set to GM mode 'on'. Some or all of the song will play through the keyboard speakers. The Navigation channel on the keyboard will allow you to pick-up different ranges the MIDI file is playing. I hope someone finds this helpful. Once I got it up and running, I learned the tune from 'Cheers' in a matter of two hours with very limited exposure to piano playing. It is a very good investment for those who are musically inclined but do not want to go through paying for lessons! I highly recommend it now. Decided to purchase a keyboard and it was between Yamaha and Casio. Although the Yamaha looked and played well, the Casio with it's lighted keys was the final selling point. Overall experience has been outstanding, it is a very cool machine with nice features. The learning steps programmed into the machine are nice, you can follow along and learn as you go. I read music fairly well, so it's fun to watch the lighted keys, the LCD display, and the sheet music at the same time. The learning program is nice as you can practice the song until you are satisfied with your progress. In addition, you can set the program to play on it's own and fill in background chords and extra notes that fit your style and interests, or have the program fill in the back ground chords while you play the score. I was surprised how fun that is, you can modify your music to fit your tastes and have fun with it, like having your own band. Another feature that is nice is the built-in metronome. I always hated those things as a kid, but every built in song starts with a few drum beats at the correct timing, it is very useful. Onkyo's HT-S767DVC complete home theater system offers one-step simplicity and the audio/visual quality that people have come to expect from Onkyo. One step: a single, tidy package with all the elements you need to produce vivid DVD pictures and lifelike, three-dimensional soundtracks for your favorite films, albums, and radio stations. Six is the magic number. Onkyo has matched a 6-disc DVD/CD changer (model DV-CP701) and a 6.1-channel Dolby Digital/DTS/Dolby Pro Logic II audio/video surround receiver (model HTR-510) with a complementary 6.1-channel speaker package (model SKS-HT200) featuring 2-way front, center-channel, and surround speakers paired with an earth-moving 150-watt subwoofer. The result is the simplest way to turn your living room into your own personal movie theater. The slim DVD player has the ability to play limitless combinations of DVD-Video, commercial CD, MP3 and WMA CD, and even your treasured digital photos on JPEG CD or Kodak Picture CD. The player employs state-of-the-art 192 kHz/24-bit audio DACs and a 54 MHz/10-bit video DAC for one of the most technologically advanced carousel changers available. Its progressive-scan video output renders seamless images on high-definition and HD-ready TVs. The surround receiver delivers as much as 100 watts of continuous power into six 8-ohm speakers (like those that come with the system) with no more than 0.08 percent THD to fill even most of the largest rooms with dynamic, nuanced sound. The speaker mapping works out to 2 each front (left/right), center (front/rear), and surrounds (left/right). Onkyo has gone to great length to take the guesswork out of matching speakers--critical for producing the most seamless, convincing surround-sound reproduction--by assembling a perfectly matched set of drivers. All supplied speakers feature a 2-way design with 1-inch balanced dome tweeters and color-coded speaker posts. To complete your home theater experience, a powerful 150-watt subwoofer delivers scalable, thundering bass from movies and music alike. The user-friendly design is evident in the system's color-coded inputs and outputs. Now you'll no longer need to worry about which cable goes to which input or output. Simply attach the color-coded speaker cable to its like-colored input or output for fast and easy connections. Want to integrate the system with your existing stereo speakers? With the subwoofer's handy crossover selector, you can set the sub's upper frequency at 60, 80, 100, 120, or 150 Hz, depending on the lower boundary of your existing speakers' bass extension. This lets you more accurately match the performance characteristics of the subwoofer to your front speakers--as well as to the bass performance of the supplied front left/right speakers as they perform in your room; each position will result in a slightly different audible frequency response. The performance of Onkyo's higher-end receivers is available in the HT-S767DVC at a fraction of the cost of other receivers through the use of shared precision parts and circuit design (such as WRAT, Non-Scaling Configuration, and discrete output stage circuitry). Adding Onkyo exclusives like Optimum Gain Volume circuitry and CinemaFILTER simply brings out the best in your DTS/DTS-ES and Dolby Digital/Dolby Digital EX encoded movies and music. The receiver even comes with Dolby Pro Logic II processing to further enhance your enjoyment of 2-channel sources, generating discrete 5.1 surround from any stereo source. Take the guesswork out of outfitting a complete surround speaker system with this Onkyo SKS-HT510 speaker package, which instantly converts any room in the house into a home theater. Consisting of dual 5-1/4-inch woofer front speakers, a dual 4-inch woofer center speaker, three 4-inch woofer back speakers, and a powerful 150-watt subwoofer, this speaker bundle delivers rich, clear, dynamic sound for movies, music, and any other audio media. The speakers, all two-way bass reflex type, run at a maximum power of 100 watts to deliver a thoroughly satisfying sonic stream. To make installation easier, the speakers feature color-coded terminal posts that connect quickly to the receiver. In addition, the speakers are housed in high-density cabinets that increase the audio clarity. The SKS-HT510 carries a two-year warranty on parts and labor. This 6.1 speaker system sounds terrific with our Yamaha RXV630 receiver. They perform very well for normal TV viewing and music, but really shine when watching a DVD with true surround sound. They were easy to set up. The set includes color-coded wires which correspond to individual speakers; you do have to provide the appropriate connectors on the wires to make them compatible with your receiver.